Moroccan cuisine is one of the most sensual in the world; it solicits our senses of smell, sight and taste, in a way like no other. The meals are not the only ones to enjoy this seductive power, many of the ingredients used have their own magic. scent of saffron, sweet scent of rose water and contrasting smells of fresh mint and grilled meat over a wood fire. 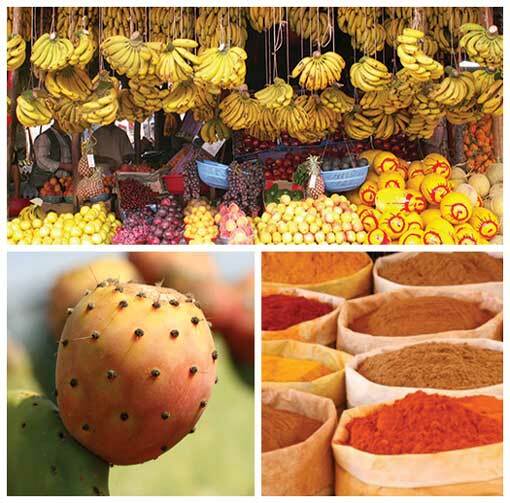 These fragrances are the essence of Moroccan cuisine. 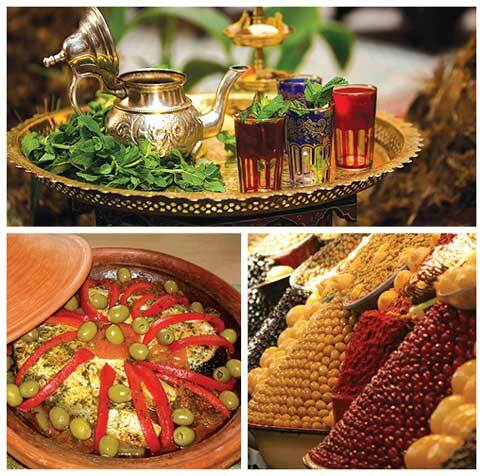 This gastronomic trip in Morocco will make you discover the subtleties of the Moroccan traditional cuisine during unique and exclusive journeys.